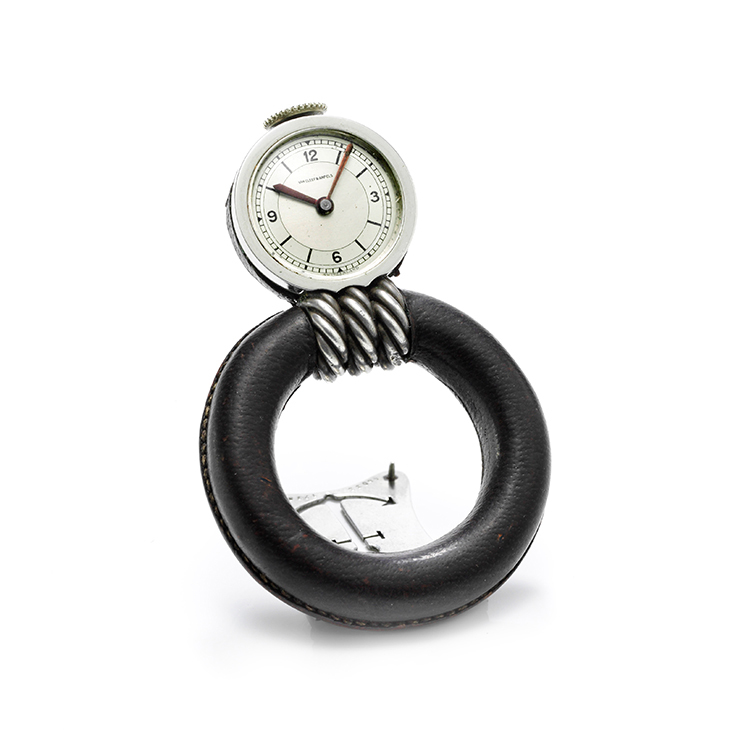 A small steel desk clock of nautical theme, suspended on a lifesaver ring by a twisted rope mount. Clock opens against a stand adored with a carved anchor. Circa 1950s.